Thank you for your interest in the music ministry of Roland Park Presbyterian Church! Music is an integral part of the life of our congregation and an important expression of our faith at each worship service. Roland Park Presbyterian has a long history of quality sacred music as expressed through our Chancel Choir, soloists, Chancel Handbell Choir, and Children’s Choir. Dr. Phillip Collister-Murray has led the music program at Roland Park Presbyterian church from 1992-1998 and from 2001-present. Dr. Murray holds degrees from University of Maryland (D.M.A.) Northwestern University (M.M. and Post-Graduate Certificate) and Marycrest College (B.A. Music and Theatre). Dr. Murray is a professor of voice and opera at Towson University where he has been a member of the Department of Music since 1998. At Towson, Dr. Collister-Murray heads the opera workshop program and teaches courses in vocal pedagogy, vocal literature, and applied voice. He was a visiting professor at University of Maryland Baltimore County from 1994-1997 where he was the music director of the UMBC Choirs and opera workshop. Dr. Collister-Murray was also professor at Marycrest College from 1987-1991 and in charge of the college choirs and co-producer of the college’s performing arts series. Dr. Collister-Murray’s background in church music is extensive, having served as music director of The First Baptist Church of Davenport, Iowa and United Church of Christ of Morton Grove, IL. Dr. Collister-Murray is an active composer and arranger of church music. For the Roland Park Presbyterian Chancel Choir he has composed over 100 descants for hymns from the Presbyterian Hymnal (1990) and Glory to God (2014) as well as the commission of the church’s Centennial hymn and anthem “Built on a Rock.” He has also composed other hymns including “Christ is Risen,” and “Spirit of God.” Anthems composed for the RPPC Chancel Choir include “Lo How a Rose E’re Blooming,” “I Hold You in my Heart,” “O Come, O Come Emanuel,” and “Think on These Things,” among others. The RPPC Chancel Choir and soloists are central to music ministry in our congregation. The choir is a versatile mix of volunteers and professional soloists who lead weekly worship services and special events at Roland Park Church and the north Baltimore community. 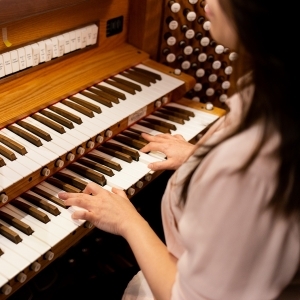 At 7:40 p.m. from the Thursday following Labor Day to the last Thursday of May, weekly rehearsals bring together our choir not only for the task of learning anthems, hymns, and larger choral works, but also as a time of fellowship and prayer. Thursday rehearsals are characterized by high energy, humor and good music making in a supportive and nurturing environment. People with a variety of musical skill levels are encouraged to find their voice and share their talents through music ministry at Roland Park Presbyterian Church. Because RPPC includes professional soloists as part of the choir, volunteer members have some degree of flexibility when needing to be away for a Sunday here or there. Perhaps you are considering sharing your musical talents, renewing your love of sacred choral music, or just finding an energetic and artistic avenue for faith expression. Please consider exploring the Chancel Choir at RPPC by attending a rehearsal and singing with us at a Sunday morning worship service. The breadth of music presented by the Chancel Choir and soloists is considerable. The choral library contains over 1000 anthems and encompasses masterpieces of sacred choral music as well as repertoire by contemporary composers. It is not uncommon in one service to hear a sacred motet from the Renaissance juxtaposed with a Spiritual or other more contemporary sacred anthems. The choir regularly presents the music of J.S. Bach, Handel, Palestrina, Tallis, Mozart, Fauré, Britten & Copland alongside anthems by Bob Chilcott, John Rutter, Morten Lauridsen, Valencio Jackson, Moses Hogan, Craig Courtney and many other contemporary voices. The choir regularly prepares special music Sundays (often with chamber orchestra) for Advent and Christmas, Holy Week and Easter, and Pentecost. Other special musical services have included Vespers, Service of Light, Ash Wednesday, and Taizé worship. 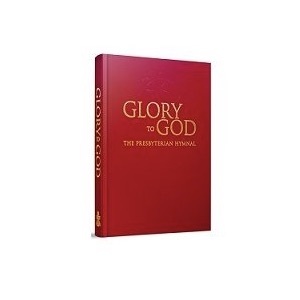 Click here to listen to the chancel choir and soloists. The Chancel Handbell Choir is directed by Dr. Phillip Collister-Murray, Director of Music. The 12 member ensemble rehearses every other Sunday at 8:15 a.m. and presents songs in worship nearly every month from September through June. Handbell music is particularly beautiful and colorful because of the sonority and variety of sounds that can be created. Roland Park Church has a 3-octave handbell choir playing on Malmark handbells or bell chimes. If you have music reading ability and are interested in learning more about being a part of the Chancel Handbell Choir please contact Phillip Collister Murray. 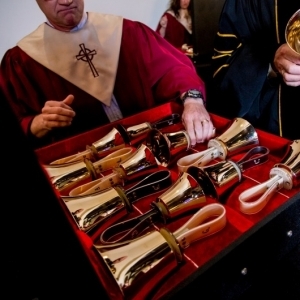 Click here to listen to the handbell choir. The Children’s Choir is designed for children ages 4-13 to express themselves in music through songs of the faith that focus on fundamental Christian values, Biblical stories, and songs which include a world perspective. Directed by Leah Murphy, the Children’s choir rehearses after worship on selected Sundays throughout the year. The choir presents songs in worship approximately 6-7 times per year. Leah is a professional music teacher in private school music programs in the Baltimore Metropolitan region and has a passion for musical engagement by young persons. Expression through music and singing is such an important component of the formation of a child’s experience of church life and worship in general. The Children’s Choir at RPPC seeks to engage our children in song and music making that embraces and supports their talents in learning what it means to be a contributing member of an active community of faith. If you are interested in learning more about the Children’s Choir please contact Phillip Collister Murray. Organ: 26 rank split chamber Wicks Pipe Organ – (1959) – Hybrid with Allen Renaissance 2 manual console with Midi interface (2000). Handbells: Malmark 3 octave handbells & 3 octave handbell chimes with mallets. For more information on music at RPPC or how you can become involved in the vibrant music ministry at Roland Park Presbyterian Church contact Dr. Phillip Collister-Murray, Director of Music at pcollister@towson.edu or 410-908-6406.